We've launched our new weekly Axios Autonomous Vehicles newsletter! Check out the first edition here and subscribe here. If you are reading this while waiting in line for your new iPhone, let me know what you think of it. Also, you do know you can order these things online, right? Airbnb has sent a comment letter to the Securities and Exchange Commission, asking it to allow the home-sharing company to give equity to its hosts, Axios' Kia Kokalitcheva scoops. What they're saying: “Airbnb is a community-based company and we would be nothing without our hosts. 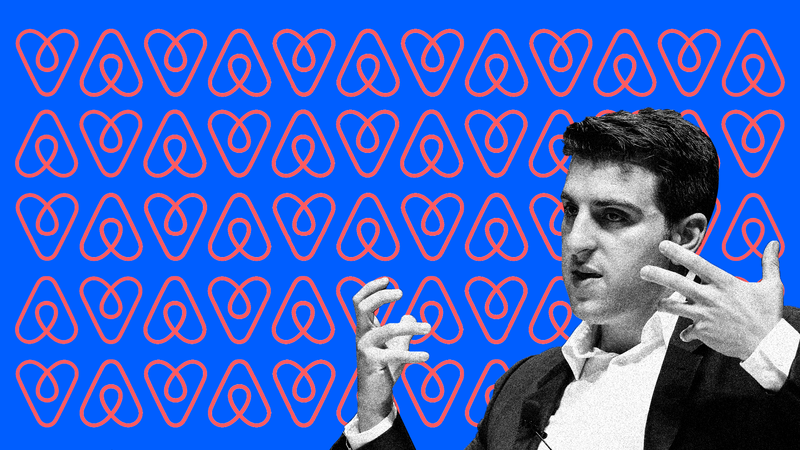 We would like our most loyal hosts to be shareholders, but need these policies to change in order to make that happen," Airbnb CEO Brian Chesky said in a statement to Axios. Airbnb's letter specifically addresses the SEC's interest in potentially revising Rule 701 of the Securities Act to add a "gig economy worker" category. Currently, private companies like Airbnb can only give equity to investors and employees. But even if approved, the U.S. federal government would have to consider the current tax implications of a private stock transfer. Additionally, either the SEC or Congress would also have to revise Section 12(g) of the Exchange Act, which currently caps the total number of shareholders at 2,000 before a company is subject to public reporting requirements. History lesson: Airbnb isn't the first "gig economy" company to look into stock-sharing. Ride-hailing startup Juno famously pledged to give its drivers equity when it debuted, but later had to nix the plan when it realized that would be too difficult. Uber has also met multiple times with the SEC to discuss how it could do this, as Axios reported last year. After President Trump's first travel ban order in January 2017, Google employees discussed in internal emails how they could tweak search results to favor pro-immigration organizations and ways to contact lawmakers and government agencies, the Wall Street Journal reports. Why it matters: "These emails were just a brainstorm of ideas, none of which were ever implemented," according to a Google spokesperson. But the leak will pour gasoline on unproven charges that the company builds anti-conservative bias into its products — right before the Justice Department convenes state attorneys general to talk about the issue. And, this compounds an earlier leak showing Google executives' frustration after the 2016 election. Trump has signed off on a long-awaited national cyber strategy that aims to guide how the administration handles offensive and defensive cybersecurity and cyber threats, Axios' Shannon Vavra reports. Driving the news: Trump’s national security adviser, John Bolton, outlined the plan to reporters in a briefing Thursday. While Bolton said it's now in effect, he added the full text of the plan "will be made public shortly." Why it matters: In the absence of an overarching cybersecurity doctrine, government agencies have been limited in how they can legitimately deter foreign adversaries and respond to cyberattacks — even as the attacks are escalating. The White House eliminated the role of cybersecurity coordinator earlier this year. The FBI has been losing cyber talent as well. Read more of Shannon's piece here. The iPhone Xs, iPhone Xs Max and Apple Watch Series 4 go on sale at Apple stores and from various carriers. As scooped by Dan Primack yesterday, Meredith Perry is stepping down as CEO of wireless charging startup uBeam, which has yet to ship a product despite years of demos. Infosys is setting up a technology and innovation hub in Arizona that it says will employ 1,000 workers by 2023. This is not the coat check number you want.